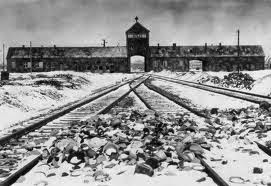 Today is Holocaust Memorial Day when Britain marks the 71st anniversary of the liberation of Auschwitz-Birkenau, the largest of the Nazi death camps. This year’s theme is ‘Don’t stand by’. More than one million people, mostly Jews, died at the Nazi camp (pictured) before it was liberated by allied troops on 27 January 1945. 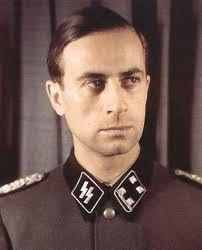 Overall, six million Jews were murdered in a systematic attempt to erase all traces of the Jewish race from Europe. But the horrific genocide of six million Jews was in fact only the final chapter in the Nazi holocaust story. The detail of how it happened, and particularly the role of doctors in the process, is not at all well known. What ended in the 1940s in the gas chambers of Auschwitz, Dachau and Treblinka had much more subtle beginnings in the 1930s in nursing homes, geriatric hospitals and psychiatric institutions all over Germany. 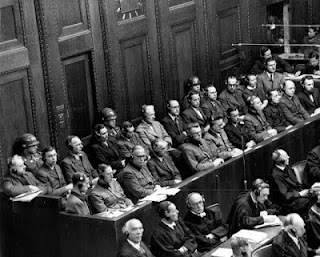 Twenty three physicians (see below) were tried at the so-called Nuremberg Doctors' Trial in 1946, which gave birth to the Nuremberg Code of ethics regarding medical experiments. Our story begins with Germany emerging from the First World War defeated, impoverished and demoralised. Adult euthanasia began in September 1939 when an organisation headed by Dr Karl Brandt and Philip Bouhler was set up at Tiergartenstrasse 4 (T4). The aim was to create 70,000 beds for war casualties and ethnic German repatriates by mid-1941. The lessons of history must never be forgotten and every new generation needs re-educating about what really happened, not least the medical profession itself. A scientist made her case last week to be the first in the UK to be allowed to genetically modify human embryos. The regulator, the Human Fertilisation and Embryology Authority (HFEA), considered her application last Thursday and will give a ruling later this month (Nature, Guardian, Mail, Telegraph). If approved the research could begin as early as March this year. 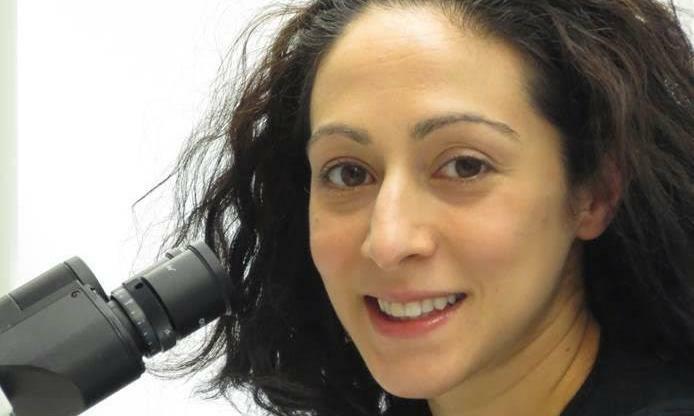 Dr Kathy Niakan (pictured), from the Francis Crick Institute in London, wants to use a new technique called CRISPR/Cas9 to ‘edit’ genes in day-old human embryos left over from IVF in order to discover what role they play in normal embryo development. She plans to start with a gene called Oct4, which is thought to have a critical role in embryo development, using 20-30 donated embryos. If this is successful she plans to move on to testing 3-4 other genes, each again using a further 20-30 embryos. The research is highly controversial, and not just because it results in the destruction of the embryos being studied (each will be destroyed and examined at seven days). Although gene editing to treat some genetic disease in fully developed human beings appears to have huge promise (such as in the case of Layla Richards who was saved from terminal leukaemia in London last year), gene editing in embryos (germline gene editing) has come in for huge criticism internationally (see also here) and has so far only been attempted (unsuccessfully) in China. This international criticism is mainly driven by concerns about safety and unforeseen consequences – introducing genetic changes into a day old embryo will mean that any genetic change will be expressed in every cell of the developing human being, including reproductive cells (sperm and egg), and will therefore be passed on down the generations. CRISPR, however, can be applied with great precision and there is the very real possibility that it might be used in the future to treat – or perhaps even prevent – some genetic diseases by correcting genetic defects in embryos or foetuses. However it is still very early days. Usually research like this needs to be conducted exhaustively using animals before it is attempted in humans. However Niakan argues that the genes she wishes to study are sufficiently different from their equivalents in animals to justify doing the research on human embryos. Whenever scientists seek approval for controversial techniques, they tend to emphasise their potential therapeutic benefit in order to get regulators, parliamentarians and the general public on side. This case is no exception. There are strong advocates for the research in Britain (see here and here) and an international collaboration (the Hinxton group) has made an earlier call for bans on germline gene editing to be lifted (see critique here). The clear implication is that some genetic defects which lead to embryo death or miscarriage are those that could be 'corrected' by CRISPR (ie single gene defects). But is there any real evidence that embryo death or miscarriage is actually caused these sorts of genetic problems? Actually no. If CRISPR could be made to work safely in embryos then it might conceivably have a role in correcting genes responsible for single gene disorders like cystic fibrosis, sickle cell disease, Fragile X syndrome, muscular dystrophy or Huntington disease. But again, is there any evidence that single gene disorders are responsible for failure of embryo implantation or miscarriage? Very little, if any. It is mere speculation. According to the American College of Obstetricians and Gynaecologists (ACOG), most miscarriages (about 60%) occur when an embryo receives an abnormal number of chromosomes during fertilisation (see also here). This is called aneuploidy. This type of genetic condition occurs by chance – there is no medical condition that causes it. However it becomes more common in women of increased reproductive age. Down’s syndrome, Edward’s syndrome and Patau’s syndrome are the best known forms of aneuploidy. In each condition there is an additional chromosome – numbers 21, 18 and 13 respectively. Babies with these conditions are usually born alive but most other aneuploidies are lethal in utero – causing miscarriages or failed implantation. The commonest cause of miscarriages are trisomy 16 and 22. In a 2015 study of 832 early miscarriages, 368 (44.23%) were found to be abnormal. 84.24% (310/368) of these were aneuploidies and 15.76% (58/368) were polyploidies. The first was trisomy 16 (121/310), followed by trisomy 22, and X monosomy. It may well be that trisomies of chromosomes other than 13, 18, 16, 21 and 22 (there are 23 chromosomes in each egg and sperm) prove lethal earlier in pregnancy or before implantation. It makes good sense. According to the ACOG, in a small number of couples who have repeated miscarriages, one partner has a translocation, involving the abnormal transfer of one part of a chromosome to another chromosome. Deletions and inversions may also play a role. All of these chromosomal abnormalities (aneuploidy, translocations, deletions and inversions) may be present in sperm and/or eggs or may occur after fertilisation. Either way they end up in the embryo and fetus. So what about failure of an early embryo to implant in the uterus? Implantation failure is related to either maternal factors or embryonic causes. Maternal factors include uterine anatomic abnormalities, thrombophilia, non-receptive endometrium and immunological factors. Failure of implantation due to embryonic causes is associated with either genetic abnormalities or other factors intrinsic to the embryo that impair its ability to develop in utero, to hatch and to implant. The average implantation rate in IVF is about 25 %. Inadequate uterine receptivity is responsible for approximately two-thirds of implantation failures, whereas the embryo itself is responsible for only one-third of these failures. Again, aneuploidy and translocations are major reasons for embryo-related failure. The key point to grasp here is that the genetic abnormalities which result in implantation failure (either in IVF or naturally) or miscarriage are chromosomal abnormalities, not abnormalities in single genes. But only abnormalities in single genes can be fixed with gene editing of the sort that the Crick Institute is proposing. Gene editing does not fix chromosomal abnormalities. However this simple fact has not been made clear to the media, to decision makers or the public. In fact researchers like Niakin and Lovell-Badge, who must be aware of it, seem to have gone out of their way to fuel the misconception that gene editing will help infertility. This, it seems, is both negligent and disingenuous, as the key factor that is driving the call to approve this new research is the supposed benefit to infertile couples. In reality, it seems to be more about satisfying scientific curiosity about how genes work in the normal development of the human embryo with any therapeutic application a distant dream. British scientists have form in making wild and rash promises about new therapies in order to get approval for controversial research – the hype around animal-human hybrids and three parent embryos (mtDNA) are cases in point. Gene editing, as I said at the beginning of this article, has great therapeutic promise for treating and perhaps even preventing some genetic disease. But gene editing of the embryo (germline editing) is extremely controversial and potentially very dangerous. Scientists around the world think that we are mad in Britain to be pursuing it. At very least much more work is needed in animal models before we contemplate using it on human embryos; and especially we need to establish first in animals whether or not it is likely to have any benefit at all in preventing infertility before we start making rash promises about humans. 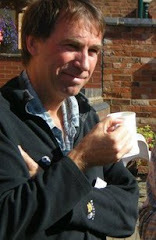 I am not alone in remaining sceptical and unconvinced. Here’s hoping that the HFEA will pour cold water on Niakan’s proposed research. However, based on past form I am not holding my breath.